INDIANAPOLIS, March 23, 2011: Andretti Autosport announced today it has signed James Winslow to drive in a Firestone Indy Lights entry at the Honda Grand Prix of St. Petersburg on March 27. Winslow, a 27-year-old driver from Witham, England, won three championships in the span of three years-the Asian Formula Three Championship and the Formula Asia V6 Championship and the Australian Formula 3 Championship. He also won the British ARP Formula 3 Championship in 2004, with a total of 10 race wins. Winslow made six starts in the 2010 Firestone Indy Lights season, with a best finish of fifth place at Watkins Glen. He began racing go-karts at age 9 and claimed five national karting championships in Britain from 1991 to 2001. In 2007, he received the Royal Humane Award from the Queen of England for his heroic action in saving the life of a fellow competitor during an event the previous year. For more information, please visit www.AndrettiAutosport.com and www.Facebook.com/JamesWinslowRacing. 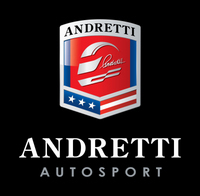 "I'm really pleased to be racing at St. Petersburg with Andretti Autosport. It'll be great to get back in a Firestone Indy Lights car again, especially with such a successful and prestigious team. I'm very grateful for this opportunity and would like to thank everybody involved. I'm looking for a good result this weekend."